Where can I find you? Do you have a retail store? I exhibit throughout the San Francisco Bay Area; here are a few of my upcoming events, but check out the full list for other events planned through the year. You can find a small selection of my items at Animal Instincts, in San Francisco’s Crocker Galleria. You can also see where I’ve exhibited in the past here. As a supplier of forest products from all over the world for over 60 years, we feel obligated, both ethically and socially, to ensure that the management of the forest is ever-present in our thoughts and actions. From our suppliers, to our management team, to our vast customer base, we are of one mind with regard to reasonable and prudent harvesting of nature’s resources. 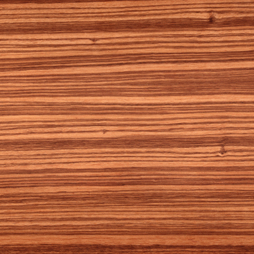 Africa: Bubinga, Mahogany (African), Makore (African cherry), Sapele, Padauk (camwood), Wenge, Zebrawood. South and Central America: Cocobolo, Lacewood, Purpleheart (violetwood). 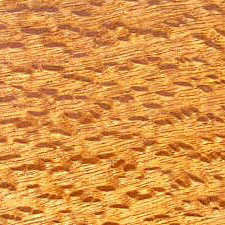 Because I use solid woods, and not veneers, most pieces also have portions where you see the edge grain. 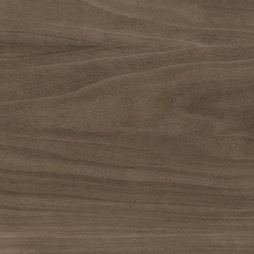 The pendant lights, for instance, have two sides of face grain, two sides of edge grain, and the top and bottom of end grain. Each surface is highly polished and finished, but that also means that each piece is a unique specimen, highlighting all the beautiful natural grain of the wood. Do you dye the purple (or other) pieces? Will the color last? Perhaps not surprisingly in this world of manufactured goods, I've been asked this several times. The purpleheart is an aptly-named wood - the heartwood is a deep purple to violet when freshly cut. No stains or dyes are used on this, or any of the products, to change the color, other than products like tung oil to both bring out the natural colors and provide protection from staining or the natural evolution of colors that happens to all woods. On that note, all woods change color as they age; exposure to bright sunlight speeds the process, but it will happen even if protected from the sun. 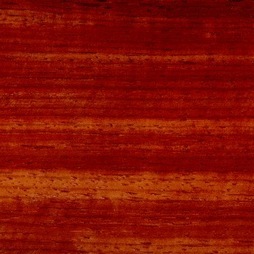 The change is most notable for purpleheart, which will gradually evolve to a dark rich brown over five to ten years. The only way to avoid this is to actually use colorfast dyes on your wood (or to keep the wood hidden in a dark sealed room). Tell me about the lightbulbs and the fixtures? These retro-style light bulbs are easy to find at your local hardware store or online, for $4-$15 depending on style. All the bulbs I use are 40w incandescent / 120v. LED Edison-style bulbs are also available for sale online and in some retail stores, but - at least as of 2017 - they are both several times the cost and do not have the same color spectrum as the incandescent variety. The fixtures come with a US-style plugs; for my international shoppers, specifically, I use a NEMA 1-15 P plug. Most the dimmers are rated for more than the power of the 40w bulbs, so in many cases you can replace with brighter bulbs if you wish, but see the detailed information on each product page. What shapes are available for the light bulbs? 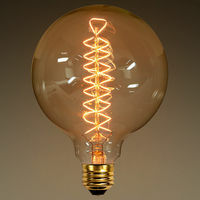 Incandescent Edison bulbs are differentiated by their shape (and size), and their filament shape. They are also differentiated by their wattage and glass color, but all the bulbs I provide are 40w and clear or lightly amber-tinted. Though not all of the shapes have industry-standard names, I have labeled the bulbs I provide below. Some of the fixtures offer a choice, albeit limited by the aesthetics and fixture design. Some of the table lamps come with either a silver or gold globe; the pendant and hanging lamp come with squirrel cage cone or radio or the standard loop bulb, and only the 5-bulb Edison block has the 5" globe. All the other bulbs in the Edison blocks are mixed, unless you specify a preference. 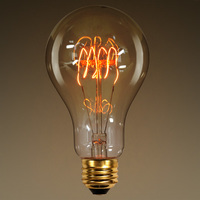 Please note that, for special requests, I do not always have all bulb types in stock, but you can usually find these, and more, on third party sites like Amazon or, for better prices and selection, www.1000bulbs.com. Do you do custom pieces or customize what is in your catalog? I can customize any of the existing pieces in the Catalog to fit your needs, using a different wood, finish, or cord - just email me with your needs and to discuss pricing and timing. If it's something simple (such as a longer cord), it can be done quickly and with modest cost, but anything is possible! In fact, much of my inspiration comes from ideas shared by you! I also can do much larger custom furniture and home decor - be sure to check out the Custom Work gallery, where I've highlighted some of my past projects, as well as pieces done by others that I particularly admire. Where applicable, I've provided estimates of how much a piece as-pictured would cost, but as all those pieces are custom made to order, please reach out to me at BranchingOutWood@gmail.com to discuss details of what you'd need. I care a lot about the environment and community, from ensuring that my housemates recycle, to driving an electric vehicle, to volunteering my time (and tools) for occasional work days at Habitat for Humanity. I do everything I can to carry good practices on to my business. Electricity: All power used in milling, cutting, drilling, sanding, and otherwise finishing the products is 100% provided by on-site solar power. Give Back: 10% of the revenues are invested in net new solar energy projects, helping to bring clean energy to fruition and combat the very real threats of climate change. Composting & Reuse: All wood shavings I create in the process are locally composted; all scraps are reused in local community art projects. I blog regularly on these and other sustainability issues - you can read more here. Do you teach classes? Where can I learn the basics of woodworking? I personally love to teach - it’s one of the areas of my past jobs in the technology industry that I truly enjoyed. Unfortunately, however, my studio is not set up to host students. If you have a project in mind and your own space in which to learn, or if you have a school and are interested in engaging a part time instructor, I’d be delighted to explore some options with you. However, I am unable to take on students or apprentices at my studio. There are a few workshops and many resources throughout the San Francisco Bay Area where you can learn more and meet with other like-minded folks, however. Bay Area Woodworkers Association meets monthly in Foster City with a deep dive into a topic of interest, as well as time for networking. And The Crucible, in Oakland has a well-stocked woodshop, in addition to a number of other industrial arts.